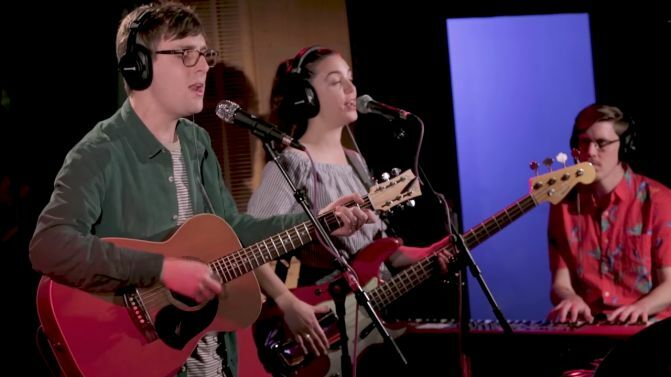 Brisbane band Ball Park Music have used their latest appearance on triple j‘s Like A Version covers segment to drop a sterling version of ‘My Happiness’ by their fellow Brisbanites, Powderfinger. Ball Park’s take on the Odyssey Number Five album cut saw the group pair acoustic and electric guitars with synths, that classic ‘My Happiness’ guitar riff and some very Bernard Fanning-esque vocals from Ball Park’s Sam Cromack. While in the triple j studios, Ball Park Music also performed their latest single ‘Exactly How You Are’. Watch both performances, below. Ball Park Music recently announced a new national tour for 2018, and are also scheduled to perform at Festival Of The Sun, NYE On The Hill and Party In The Paddock this summer.